More than four years have already passed since Woolworth went bust, and the memory recalls long queues of bargain hunters standing in the cold outside the stores, waiting to grab any possible item still available in probably the most clamourous closing down sale of the century. Despite the satisfaction of being able to snap up for a couple of quid that expensive lamp we've been drooling after for months, the overwhelming feeling was that we were witnessing the end of an era. That feeling was back today, as we learned that music giant HMV is about to meet the same fate: it was announced that due to extremely disappointing Christmas trading, the store chain is collapsing and it's struggling to prevent the dismissal of over 4,350 employees. The firm announced last night in an official statement that “the board has been unable to reach a position where it feels able to continue to trade outside of insolvency protection.” It seems likely that it will soon join Jessop and Comet - which have also recently shut down leaving more than 8,000 people jobless - in retail causalities paradise and despite the best intentions, it's hard not to take it as another sign of a free-falling economy. Just before Christmas, HMV suppliers made a £40m contribution to keep the firm afloat but holiday sales weren't as good as expected. Royal Bank of Scotland and Lloyds have then decided to give up on the debt-ridden music giant, leaving no option but to call in administrators. 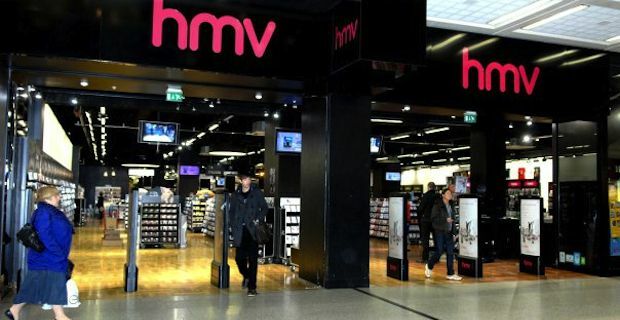 Restructuring company Deloitte is rumoured to be the firm of choice to take over HMV's stores and look for a suitable buyer, an official confirmation is expected shortly. Those of you in possession of HMV gift cards will be disappointed to learn staff at the stores has just been instructed not to accept them anymore as a form of payment.